May 5th was our scheduled plein air at the Mayo Clinic. Originally this was supposed to be a Big Deal - with Mayo hosting a show for us in their excellent gallery but, sadly, those plans all fell through and is became just a "regular" plein air date. However, with various scheduling conflicts and things, we only had a small turnout - with four stalwart FCPS members showing up to paint. They did have a nice day for it though. 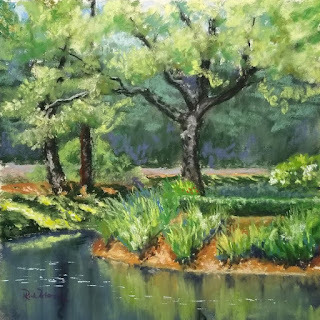 Rick Petersen: This plein air painting is a view of one of the ponds with an island at Mayo Clinic, Jacksonville. I wanted to capture the dappled sunlight and the sweep of shoreline on a quiet morning. Many of the details of the scene were edited or eliminated to emphasize the sense of motion in the curves of the shore and the grace of the tree. 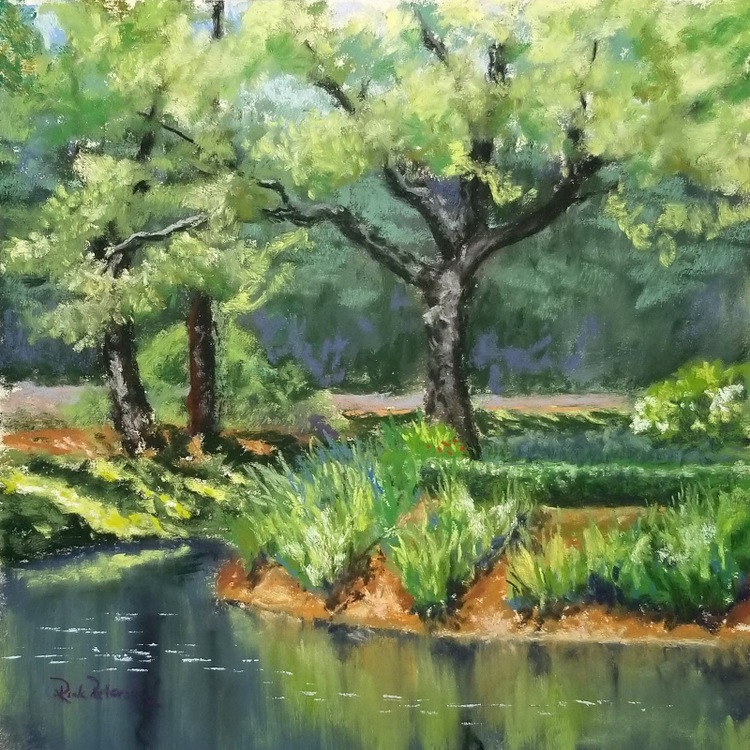 Tish Hubbard: It was so nice to be out painting today. Thanks to all who participated to represent our group. This was our last plein air event before the summer break. In the fall we will start up again. If anyone had some suggestions for great plein air locations please let us know. Happy painting everyone.